Respond 1997 (or Reply 1997 or Answer 1997) - the newest tvN sitcom will air its pilot episode on Tuesday July 24, 2012 at 23.00KST. They have just released the BTS making of video and it looks like the casts had a lot of fun during their official poster photoshoot and filming this sitcom. The story line of "Respond 1997" takes the viewers back in time to the 1990s when the nation's famous groups H.O.T and Sechs Kies represented the music industries. The drama recreates a sensibility of six high school students; Siwon, Yoonjae, Hakchan, Joonhee and more with the alias 'First Generation Ppa Su Ni" (First Generation of Biggest Fans). The story will unfold in the current year of 2012, where the main characters gather at their high school reunion. There, a couple will announce their marriage and talk about their memories of events back in 1997. H.O.T and Jack Kiss - the "everything hero" back then, will prove the culture of first generation fandoms in the unique setting, taking place in Busan 1997, making it even more alive full of sentiment with characters talking in Busan dialect. This drama is said to be produced by many noted workers such as the PD of the show "Qualification of Men" and script written by the writer of "1 Night 2 Days" and "Qualification of Men." The leading cast roles are played by A Pink's Jung Eunji, Seo Ingook, Infinite's Hoya, actors Lee Siun and Shin Soyul, along with Eun Jiwon, with most of them taking on their first acting challenge. Sung Siwon (A Pink's Eunji) is currently 33 years old and is a 10 year experienced screenwriter and was H.O.T's passionate fan back in 1997. A Pink's Eunji will be playing as the lovable character with her youthful and sweet charms. Seo Ingook, the singer who showed his acting skills in "Love Rain," will be playing Yoon Yoonjae. Best friends since childhood with Sung Siwon, he is the friend that is always by side of Siwon. Eun Jiwon will be playing as Do Hakchan, the boy with everything; household, appearence, and his outstanding sports skills. Infinite's Hoya will be playing the role of the passionate consultant, Kang Junhee. In addition, actor Lee Siun will be playing as the greatest rapper in Busan and Shin Soyul, the girl who falls in love head over heels many times. The six main characters are portraying the scene of the 1990's stimulating the H.O.T and Sechs Kies era poses on set. They revealed a picture that confirmed the drama and is rising the anticipation on the drama. 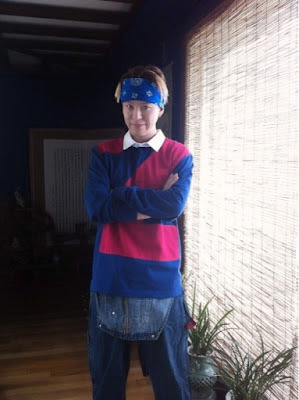 Former member of Sechs Kies and cast member Eun Jiwon taught the other cast the poses of the 1990's singers and lead the photoshoot causing many on the set to laugh. As a huge fan of Eun Ji Won, this sitcom is definitely on my watchlist. He's the leader of Sechs Kies and an amazing entertainer & choding at heart (in a positive way) so I believe he would not have any difficulties portraying his character. As for the other actors, I have confidence that they will portray their character brilliantly. It'll be interesting to watch about the k-pop industry during year 1997 - the song, the dance, the outfit (:D) and how competitive the idol groups were during that era.